Just a bit of fun with this poll. Not surprised that "Brew better beer" came out the winner (no one thinks that every batch they brew is perfect). Time and space are obviously limitations for many brewers. After spending the last 18 months living in a house after years in an apartment it is still a relief not to worry about where to store an extra case of beer (to make things even easier I'm planning to get an A/C unit and some insulation for my basement bottle/barrel room before the summer heat hits). It is certainly nice not having to store fermenters or bottles at my parents' house 500 miles away like I was doing for awhile. Finding time can be annoying sometimes (I know a lot of people have it worse than me), but I usually don't have much trouble blocking off a Saturday to brew every few weeks (it helps that I don't have a kid, dog, long commute, or many friends who aren't into hanging out while I brew). I've also been brewing on the same basic system long enough that for most batches (not counting decoction or turbid mash etc...) I'm on autopilot and can get other stuff done during the mash/boil. 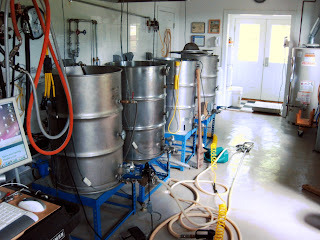 I'm still kicking around the idea of constructing a bigger system, but I brew too much beer as it is. 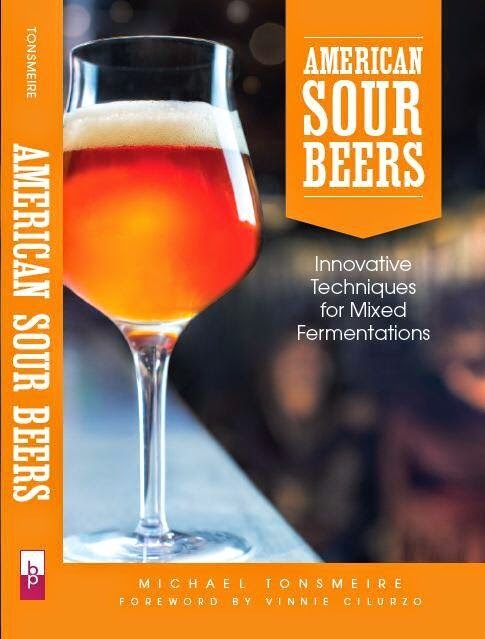 It would be fun to do split batches (sour half and leave half clean for example) or fill barrels easier. I'm sure I'll make it there eventually. The thing I like about five gallon batches is that I can still lift everything on my own and move it around to solve problems as needed. Kegging/bottling certainly isn't my favorite activity, but it doesn't seem to bother me as much as some other people. Obviously cheaper ingredients would be nice, but I'd rather brew better beer than cheaper beer (and honestly this is a pretty cheap hobby compared to a lot of others). Post a comment with your reason for picking the option you did. What ticks you off about bottling? How big do you wish your batches were? Well, I have a two year old, and a year and a half ago moved into an 80 year old home. So that should make why I chose more time pretty easy to deduce. I'd be surprised if any of the 8% that chose to skip bottling/kegging aren't bottlers. Going to kegging is the best decision we've made since starting homebrewing. Of the choices, I'd go with more time. Beyond that I could use some minor upgrades to brewing equipment: another big brewpot, a nice sparge/lauter setup and higher quality thermometer/hydrometer/pH meter. To answer your question about brewing, I think a 10 gallon system is pretty much ideal. You can still do 5 gallon batches, but if I could do a 10 gallon batch in the same timeframe as a 5, that would be helpful. I've got twin 11 year old daughters, so carving out a Saturday a month can be challenging sometimes. 10 gallon batches would allow me to bank up some stock. It also gives a lot of flexibility in splitting batches for side by side experimentation. I just moved into a new house and will have a lot more room to brew than I used to. I was stoked when my wife said "Hey we have this extra closet with nothing else to go there. Why don't you use it for an aging closet or something?" But I voted for wishing for more time. Being married with a 3 year old, I just don't have as much time as I'd like to brew. If I'm lucky I'm brewing every other week, but it's usually once a month. I've always been confused about the complaints about bottling. I like being able to taste a wide range of things and see how they age over time. There are several people in my homebrew club I've heard complain about bottling, but they're always excited when I bring something that is a couple of years old. I guess I don't get the disconnect. Sure, kegging is easy and saves time, but why is everyone so either/or? Both seems so much more worthwhile. Agreed on the bottling, the ability to build up a stock of beers that age well (sours, big beers etc…) is worth the extra effort for me. Kegging is perfect for batches I don’t want to sit on (session ales, lighter lagers, hopper beers etc…). My dream upgrade would be to have a permanent brewing area with my equipment always set up. I bet I spend a good 45 minutes over my brew day hauling all my stuff to the back yard. Hot/cold plumbing plus a floor drain would be a plus!! Re: bottling, I'm not really either/or in theory, only in practice. It's just that 75%+ of the beer we brew is moderate to low in gravity. Lots of sub 3.5-4.5% beer, decent amounts of 4.5-6%, and only the rare and occasional higher grav beer. So when I talk about switching to kegging, it's referencing the clear majority of our beer, but not all of it. Another factor in that is that the majority of the commercial beer I buy is high gravity. There are tons of good Imperial Stouts I can buy on the shelves around here, loads of quality Barleywines, Imperial Smoked Porters, etc., so lots of what my wife and I brew are the beers we can't find on the shelves - traditional bitters, milds, Belgian table beers, singles, etc. I would choose to brew better beers. I've only been brewing for about a year, and have had a few batches come out less well than I would have hoped. Still drinkable, but not something I would have served to guests. On the other hand, some have been huge hits with friends. As an aside, I bought a 5 gallon kettle when I began last year, and regret already that I didn't buy the 10 gallon kettle for about $35 more. If you're considering buying your first kettle, buy the largest one you think you can manage. I never would have thought 5 gallons would be too small, but it really is. I think that alone would help the quality of my beer by not having to split the boil into two kettles. I live in Australia and our raw ingredients seem to be a bit more expensive than in the US, so I went for the cheaper option. I've been consistently turning out quality brews I'm very happy with; in addition to making the move to kegging, so those options didn't appeal.